Getting married, need a photographer? 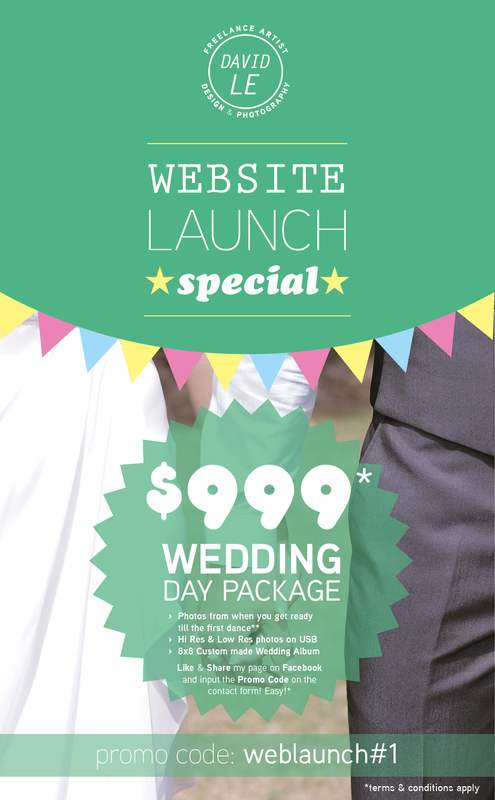 Check out my super special Website Launch Promo deal! "Like" & "Share" my page on Facebook and enter the "Promo code" to redeem the offer, simple as! Older PostLittle bit of mid shoot fun!